Considering purchasing the Pioneer DJC-B DDJ-400/DDJ-SB3/WeGO3 BAG? Have questions? Ask people who've recently bought one. Do you own the Pioneer DJC-B DDJ-400/DDJ-SB3/WeGO3 BAG? Why not write a review based on your experience with it. Great product which fits my DDJ SB3 perfectly. Ideal for taking to gigs and storage at home. What more can you say. It does the job very well. Brilliant product fast delivery service as promised. Great addition to have with the ddj400 in the kit. And it was free. Bonus!! Keeps my controller safe and sound when I'm out and about. What more could you want. The combination of foam and hard plastic makes this a great way to store and protect your controller when not in use or travelling. Really good case, supplied with different sheets of foam, to fit fit different controllers. Good quality and looks the part too! And its got a zip. Superb product exactly what I've been looking for for my wego 4. As above its a Christmas present for my niece. It's solid, does the job...the DDJ400 is a bit tight around the edges to get in and out. There's not space for any cables etc. This fits the WeGo4 perfectly, my only gripe is I wish they put a small cut out for the cables etc on one side and move the cut out for the controller to allow this as there is plenty of room to do so, again no issues with DJ Kit they have been great! What can I say, protect your investment!!! 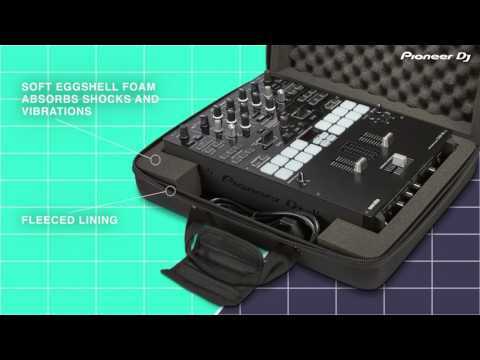 Pioneer DDJ-WeGo4 fits perfectly and the all-round foam means it is well protected. Perfect birthday present for my husband! I ordered this controller bag for my husbands birthday, it had to arrive the next day and it did !! right in time for his birthday, very pleased indeed. 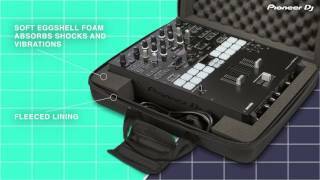 Seen a video for Pioneer DJC-B DDJ-400/DDJ-SB3/WeGO3 BAG online or have you own video? Check out Pioneer DJC-B DDJ-400/DDJ-SB3/WeGO3 BAG on DJkit.com!